Judit Apartment Hotel has a very good location, only 2 metro sops from center of Budapest, 2 minutes walk from metro station, 5 minutes walk from Westend City Center shopping centre, the Western (Nyugati) Railway Station or the Danube. 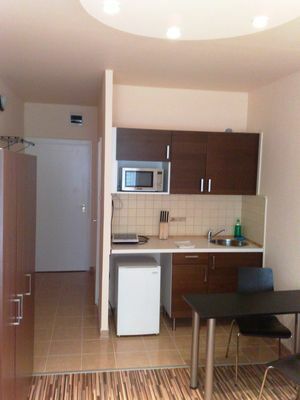 Studio for 1 person: the 16 sqm studios include a single bed, air-condition, safe, 30-channel cable TV. The bathroom includes shower, toilet and hairdryer. 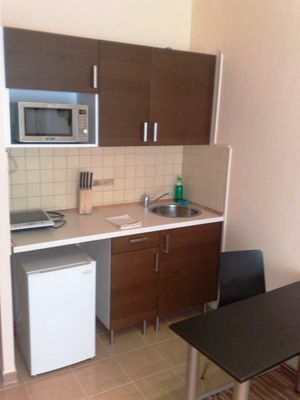 In the small kitchenette you can find cooking facilities including a microwave oven and fridge. 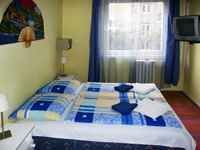 Studio for 2 persons: the 20 sqm stuidos include 2 single beds, air-condition, safe, 30-channel cable TV. The bathroom includes shower, toilet, and hairdryer. 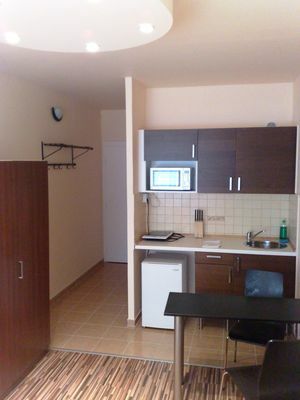 In the small kitchen you find cooking facilities including a microwave oven and fridge. 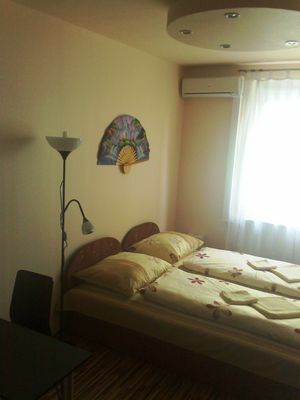 Studio for 3 persons: the 20 sqm studios include 3 single beds, air-condition, safe, 30-channel cable TV. 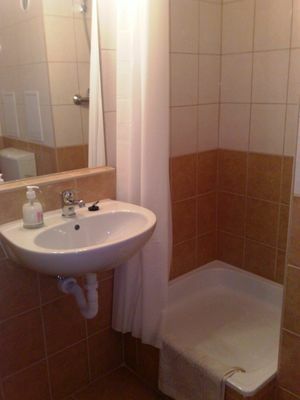 The bathroom includes shower, toilet, hairdryer and towels. 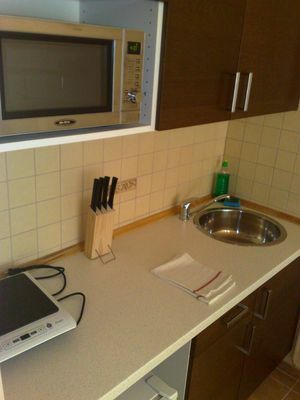 In the small kitchen you find cooking facilities including a microwave oven and refridgerator. Wi-fi is available in some studios, and wired internet acces is alvailable in all studios. Using the Internet connection is free of charge. The hotel’s nearby parking lot is available for the guests at 5 EUR per car per day. 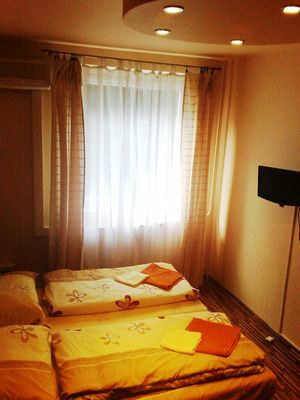 24 hours reception, Breakfast in the Room, non smoking studio upon request, heating, air-conditioning, babycot, extra bed, elevator, luggage storage, pets are allowed, free of charge, no credit cards accepted, only cash.